KANEOHE NEIGHBORHOOD BOARD BLOG – This blog exists to encourage citizen participation in government. The Neighborhood Board maintains it, and we welcome your input. Contact information for Board members is available through the Member Directory link on this page. To add your voice to a post on this site, go to the bottom of the post and click on the link with the word “comment” in it. All viewpoints are welcome, but please be constructive. If you don't have access to a computer any library can help you vote and a voting site is available at the Key Project in Kahaluu. 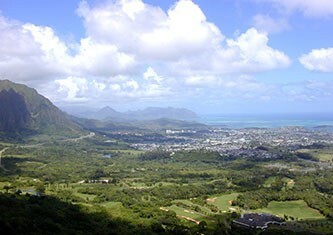 Hawaiian Electric is developing a sustainability plan for Windward Oahu. Their focus is on improving the reliability of our electrical grid. However, HECO recognizes that to have a truly resilient community will take everyone working together. Their plan is holistic and involves input from key leaders in emergency preparedness, business and community groups. For more information as their plan develops click here. OPPOSING THE SPECIAL MANAGEMENT AREA USE PERMIT FOR THE DEVELOPMENT BY CHARLES TSU YEW WONG AT 46-107 LILIPUNA ROAD – KANEOHE, TAX MAP KEY 4-6-001:007. WHEREAS, the Revised Ordinances of Honolulu, Chapter 25, Section 25-3.2 (a) (4) Special Management Area review guidelines States: Alterations to existing land forms and vegetation, except crops, and construction of structures shall cause minimum adverse effect to water resources and scenic and recreational amenities and minimum danger of flood, landslides, erosion, siltation or failure in the event of earthquake. WHEREAS permitting this type of development in this Special Management Area would set a precedent that would multiply these adverse effects to water resources and increase the danger of flood, landslides, erosion, siltation or possibly failure in the event of earthquake. BE IT RESOLVED by the Kaneohe Neighborhood Board that the Special Management Area Use Permit be denied. BE IT FURTHER RESOLVED that the Director of Planning and Permitting enforce the orders as Stated on the May 12, 2014 Notice of Violation and proceed as Stated, to have the required work done by the City and the cost thereof charged to the owner. BE IT FURTHER RESOLVED that the Director of Planning and Permitting enforce the orders as Stated on the November 18, 2014 Notice of Violation and proceed as Stated, to refer the matter to the Prosecuting Attorney and/or Corporation Council for appropriate action. BE IT FINALLY RESOLVED that this resolution and the copies of the Notices of Violation attached hereto, be delivered on or before October 22, 2018 as testimony at the Public Hearing on October 23, 2018 regarding 2018/SMA-45(AB) application for a Special Management Area Use Permit by Charles Tsu Yew Wong property at Tax Map Key 4-6-001:007 to the Department of Planning and Permitting to the attention of Alex Beatty, Staff Member and Kathy Sokugawa, Acting Director and Timothy Hiu, Deputy Director and Eugene Takahashi, Deputy Director as well as to all members of the Council of the City and County of Honolulu. • Old Kaneohe Bay Drive: In response to concerns with potholes along Kaneohe Bay Drive, the Department of Facility Maintenance (DFM) responded that the issue is under the jurisdiction of the State Department of Transportation (HDOT). The issue was transmitted to HDOT. • Traffic Calming: In response to requests for traffic calming along certain portions of Haiku Road, a DTS study concluded that traffic calming is not warranted. DTS recommended that the removal of restricted parking might assist in the issues that generated the traffic calming requests. • Pua Alowalo: In response to concerns with traffic and pedestrian risks at Pua Alowalo, DTS responded that more time is needed to conduct necessary studies. Director Kahikina added that she requested DTS to attend the next meeting to discuss the concerns with affected residents. 1. Pahia Crosswalk: Chair Radke asked and Director Kahikina responded that she will provide an update related to Pahia crosswalk at another time. 2. Kaneohe Christmas Parade Path: A resident and representative from the Kaneohe Christmas Parade requested that the dip in the road on Kamehameha Highway near the Fire Station be repaired prior to the Saturday, December 1, 2018 parade. In addition she requested the Haiku Road Wastewater project be completed by then or at least impacts to the parade be mitigated. 3. Old Kaneohe Bay Drive: Vice Chair Sager expressed concerns with the dilapidated condition of Old Kaneohe Bay Drive due to the potholes, specifically between Mikiola Drive and MCBH. He asked if the dilapidated condition would require a complete replacement of the road. Transportation Committee Chair Sevier commented that it may be postponed pending a Complete Streets analysis of the area. 4. Kamehameha Highway: Collins expressed concerns with the faded painted lines along Kamehameha Highway and requested restriping. • Neighborhood Board Elections – Elections for the Neighborhood Board will take place in 2019. Candidate and voter registration runs from December 2018 to February 2019. Voting runs from April 2019 to May 2019. Results will be released in June 2019 and the new Boards will be implemented in July 2019. Additional information related to the Election were encouraged to call James Skizewski at 768-3705 or email James.Skizewski@honolulu.gov. • Public Outreach: The NCO is always looking to improve public Awareness of the Neighborhood Board System. NCO visits communities across the island putting up posters around the community with the neighborhood's respective board contact information, as well as brief information about the function of the Board. Residents interested in a poster or who know of community organizations that would like more information were encouraged to contact the NCO. • Online Board Member Training: NCO has developed an online training program for neighborhood board members to improve their understanding of the Neighborhood Plan, Sunshine Law, and Robert’s Rules of Order. All training exercises are posted on the NCO website. • Social Media: NCO is in the process of posting promotional videos, public service announcements, and follow-up videos where the effectiveness of requests made at neighborhood board meetings will be demonstrated. These videos and other neighborhood-related updates will be posted on the NCO’s social media pages. Residential Youth Services and Empowerment (RYSE) Hawaii – Lee Miyashiro of RYSE Hawaii provided an update from the previous report at the Thursday, September 20, 2018 regular meeting. At the request of the Board to provide a donation wish list, Miyashiro provided a donation wish list as follows: socks, underwear for both genders, towels, razors, big hygiene items (soap, toothpaste, deodorant, etc. ), musical instruments, milk, eggs, butter, yogurt, utensils, cups, bowls, 39 gallon trash bags, laundry detergent, paper towels, toilet paper, gift cards, movie tickets, saimin, and spam. Those interested in donating are encouraged to contact RYSE at 498-5180. This is for anyone who wants to testify or track legislation at the Legislature. Learn how to be an effective advocate. I am writing to let you know that The Public Access Room (PAR) will be conducting presentations on the legislative process around Oahu beginning December 5th (this Wednesday). Please find attached a flyer listing the dates, times, and locations of our public outreach (I have also included this information below). We will be offering two new presentations this year. The first presentation is geared towards newcomers and will provide an introduction to the state legislative process to get new participants ready for session. The second presentation was created for those that already understand how laws are made. For this presentation, we will provide advanced advocacy tips and discuss often overlooked online resources. "How-To" guides, informational handouts, and other resources will be available. If you're interested in learning about how laws are created in our state or what you can do to have a say in that process, attend one of our training sessions.